Scott Swier and Jake Fischer, chair of Swier Law agricultural law practice group, co-authored the book which explains important estate planning concepts for agricultural producers in a logical and user-friendly style. “As we have expanded our practice in the rural areas we have had questions from farmers and ranches about estate planning,” said Swier. “We thought let’s put together a book that is easy to read that people do not have to feel intimated by a lot of legal jargon and make it specifically for farmers and ranchers,” added Swier. He noted the book give farmers and ranchers good ideas of some of the issues that come along with estate planning. 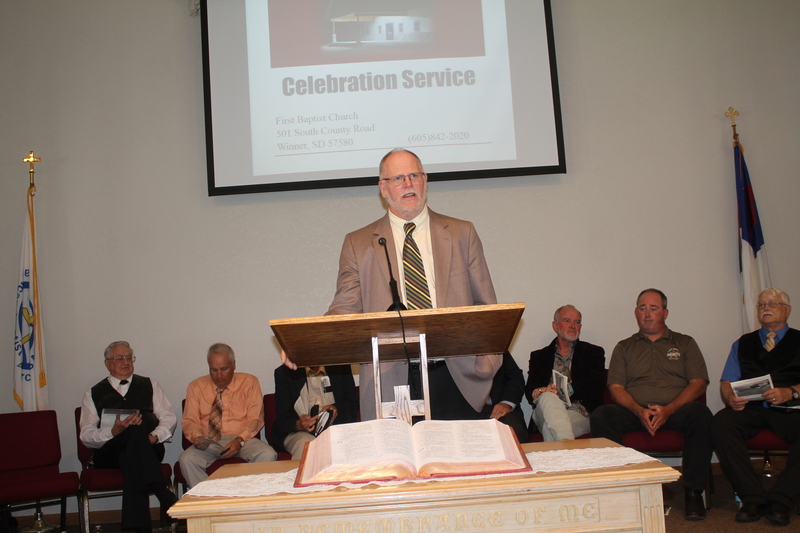 First Baptist Church of Winner celebrated the opening of its new church on Sept. 20. The new church was built on South County Road and will provide more room for the congregation. Several former pastors spoke at the celebration. 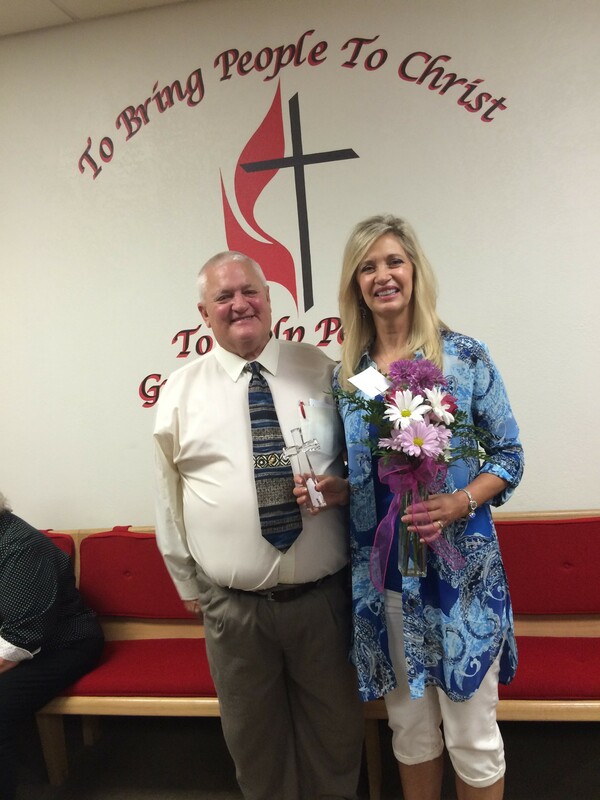 Duane Boise, who now has a manufacturing plant in Tea, was the pastor from 1976 to 1977. 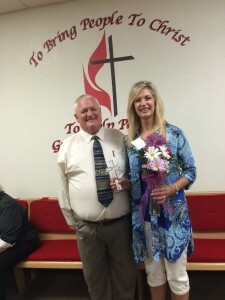 Serving the church from 1977 to 1988 was Rev. Al Cole who now lives in Lexington, Neb. Pastor Dennis Webber was the pastor of the church from 1999 to 2005. “It is a privilege to be here and see what God has done,” he said. With the use of Skype, Howard Berglund, who served as the first pastor of First Baptist Church was able to visit with persons in Winner. Now in his 90’s, Berglund lives in Colorado with his wife Edythe. 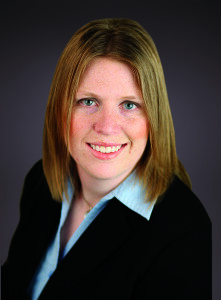 Brooke Swier Schloss of Swier Law Firm was recently appointed to serve on the South Dakota Bar Association’s 2015-2016 Family Law Committee. The State Bar Association’s Family Law Committee maintains and improves the practice of family law through effective interaction with the courts and by informing lawyers and the public of current legislation and regulations. The Family Law Committee focuses on all matters relating to marriage, dissolution, custody and support, and adoptions. Brooke was recently named by the National Academy of Family Law Attorneys as a “Top 10 Attorney Under the Age of 40” and is the author of the books The South Dakota Child Custody and Divorce Handbook and 15 Tips for Choosing a South Dakota Divorce Lawyer. 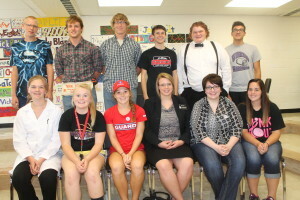 Eight Winner High School students have been selected for all-state chorus. The students chosen are: Hayley Halverson, Dacey Kocer, Molly Connot, Calah Covey, Duncan English, Grant Winter, Nick Blare and John Kludt. Chosen as alternate are: Mary Calhoon, Ronae Klein, Izak Moleterno and Elijah Blare. Duncan English and Molly Connot will be honored as four year members of all-state chorus. 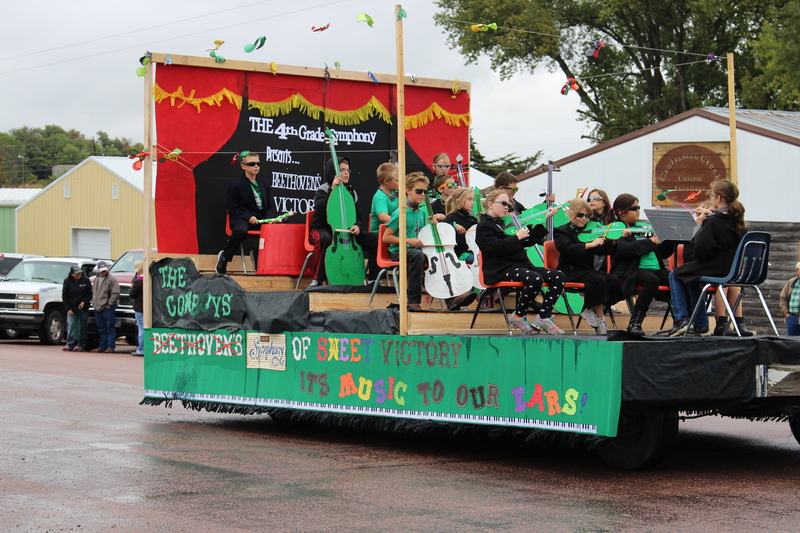 The concert will be held Oct. 31 at 7 p.m. at the civic center in Rapid City. The concert will be televised live on SDPB-TV. 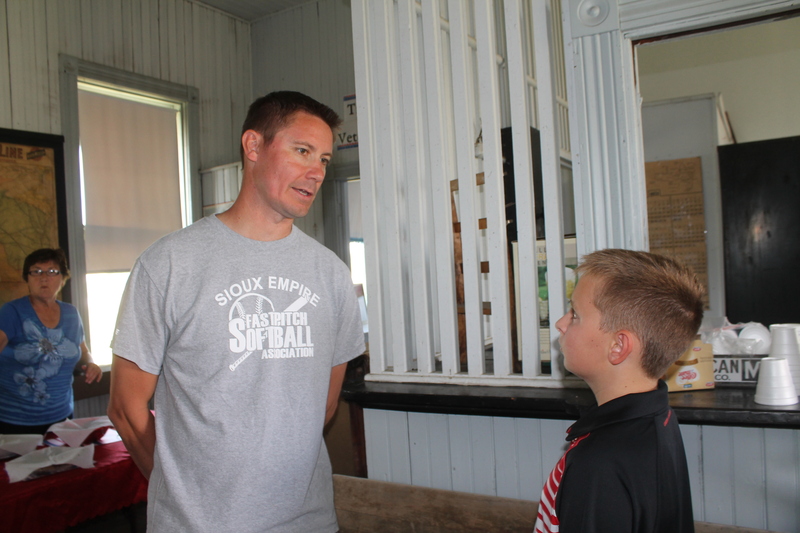 Carter Davis of Plankinton found Labor Day a perfect time to visit with veterans in Winner. The 10 year old had a table set up in the former Depot at the Tripp County Historical Society museum as he took pictures with the veterans and asked them questions about their service. He then posts the pictures and stories on Facebook. Carter’s Thank Your Veterans Project is a way to thank these individuals for serving their country. Davis is the son of Cordell and Melissa Davis of Plankinton and the grandson of Winner residents Steve and Joan Davis. 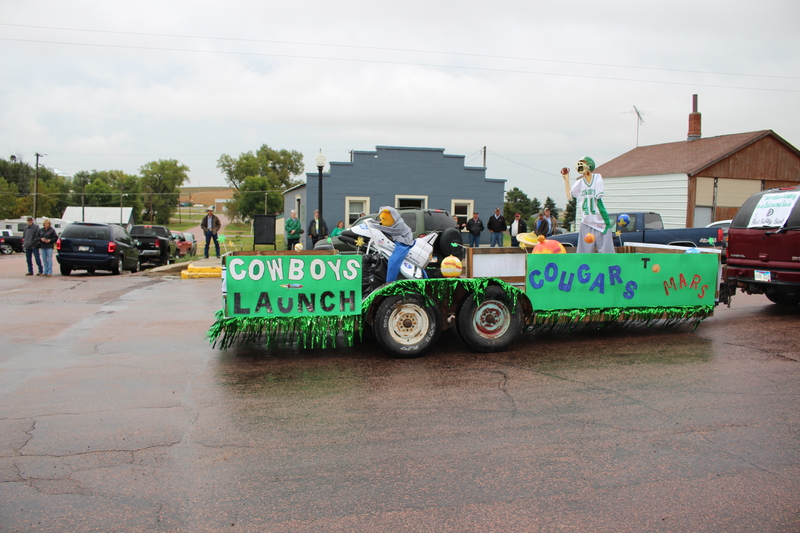 Carter’s maternal grand parents are John and Sherry Staller of Plankinton. So far, Carter’s Thank Our Veterans Project has photo after photo of him and the veterans he has met. Carter says he has interviewed over 60 veterans and planned to talk to at least five in Winner. It is a project this young school student started a year ago. Shane Gardner, Sioux Falls, formerly of Winner, told Carter of the time he spent in the Army. Carter says some of the stories are funny, some of them have a lot of interest. “They’re just all kids of cool stuff,” he said. “When veterans start talking they have a story to tell,” said Carter. Carter says it does not take long to introduce himself to veterans. This 10-year-old boy is making new friends and keeping the memories of veterans alive. 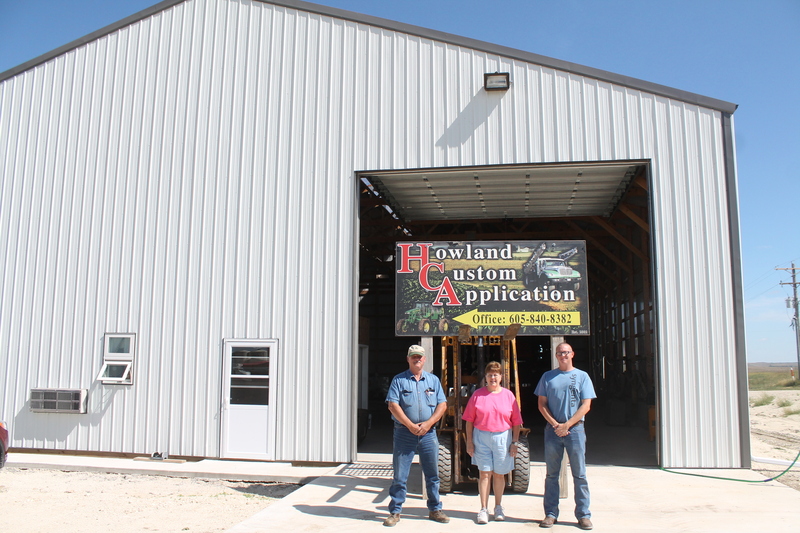 Howland Custom Application Inc. will be holding a grand opening and customer appreciation week Sept. 28-Oct. 2. The business, owned by Dennis and Donna Howland, has moved into its new building at 31712 Harvest Road. There will be coffee and cookies each day from 9 a.m. to 5 p.m. and a customer appreciation lunch on Friday, Oct. 2 from 11 a.m. to 1 p.m. The business features a new fertilizer facility which consists of four bins which hold 700 tons of dry fertilizer and a state of the art blending facility to mix fertilizer. There will be daily tours of the new fertilizer facility. Howlands have hired Tommy Vaughn, an agronomist, who will be doing soil sampling and crop scouting. Howland Custom Application has been in business for 13 years. In 2011, they moved into their first building which is just west of the new structure. Float winners have been named in the Colome High School homecoming parade on Friday. Non-student entries—1. First Fidelity Bank of Colome, 2. Class of 1965 and 3. Class of 1975. 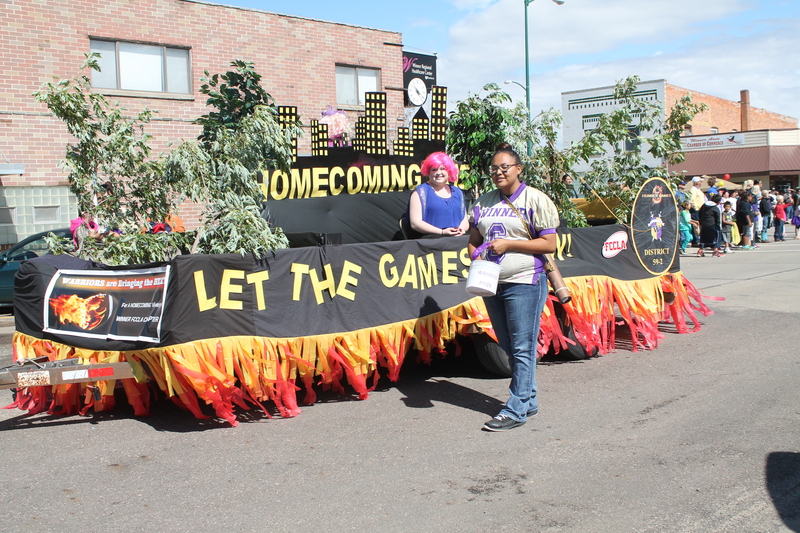 The Winner High School junior class won the prize for the best use of theme during the WHS homecoming parade on Friday afternoon. The parade theme was Hunger Games. 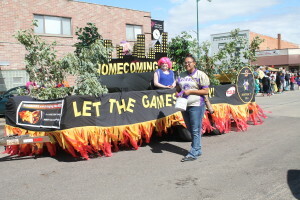 The best decorated float went to the freshmen and FFA was named the most creative. 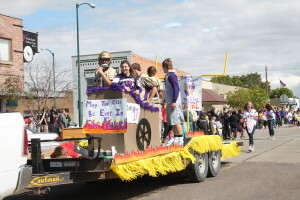 The float that was chosen as the most appropriate to homecoming was FCCLA. The best business entry was the Winner Area Chamber of Commerce. The best class reunion float went to the class of 1985.